With the summer farmers markets finished for the season, we're now in that autumn lull before the winter markets begin, and if you want farm-fresh produce, you'll have to hit up a farmstand — or your local co-op. But with all the rain we've been having, late fall mushrooms are in full bloom. 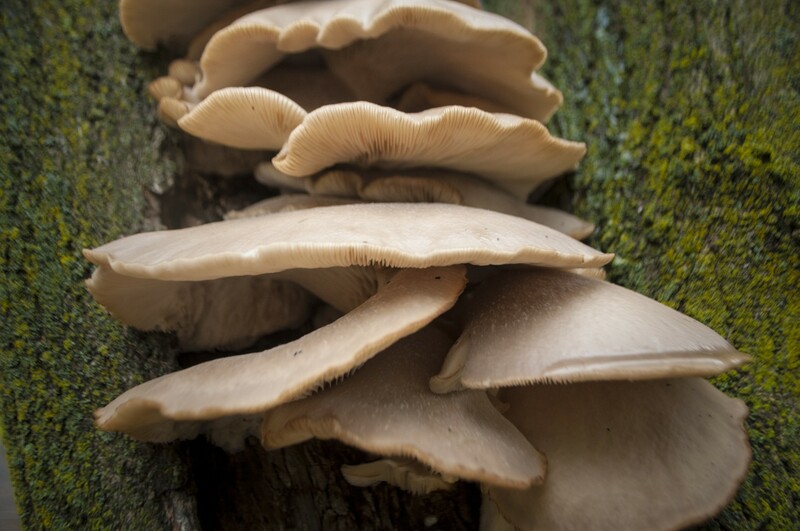 At the end of my Burlington block is an old maple tree that recently started fruiting with pounds and pounds of meaty oyster mushrooms — more than I could ever use. While summer oysters are usually milky white, as the weather cools, they start sprouting in shades of dusty brown, and these beauties were massive, some as big as my hand. I picked a couple pounds* (many more remain on the tree) and, feeling rich, started dreaming up a fall frittata with foraged apples from my pantry and a bit of McKenzie sausage from my fridge. A quick trip to City Market brought fresh sage, courtesy of Digger's Mirth Collective Farm, and Tarentaise, a mild, Alpine-style cheese from Pomfret's Thistle Hill Farm. And that, quite quickly, was that. *For nonforagers, MoTown Mushrooms supplies great oysters in many colors, or you can usually find them at the co-op or other grocers. Also, any mushrooms you prefer will work well with this recipe. In a 12-inch cast iron skillet, brown the sausage over medium heat. When the meat is mostly cooked but not yet crispy, add the butter, sage, apples and mushrooms. Increase heat to high and cook, stirring often, until mushrooms begin to brown and most of the liquid is cooked off, 10-15 minutes. Reduce heat to medium-high and continue cooking, stirring less often, until all ingredients are a deep, golden brown and starting to crisp and char slightly at the edges. At this point, the mushrooms should be very chewy and the pan should be free of liquid. Sprinkle the grated cheese on top and reduce heat to medium. Whip the eggs with the water and a few shakes of black pepper in a measuring cup, or something with a pour spout. Light the oven broiler, placing a rack toward the bottom of the oven. Pour the eggs over the mushroom mixture, which should be melty with the grated cheese. Cook over medium heat for about five minutes, until the eggs are set on the edges but still liquid in the middle. Place the whole skillet in the broiler and cook until the eggs are bubbling and set, 5-7 minutes. 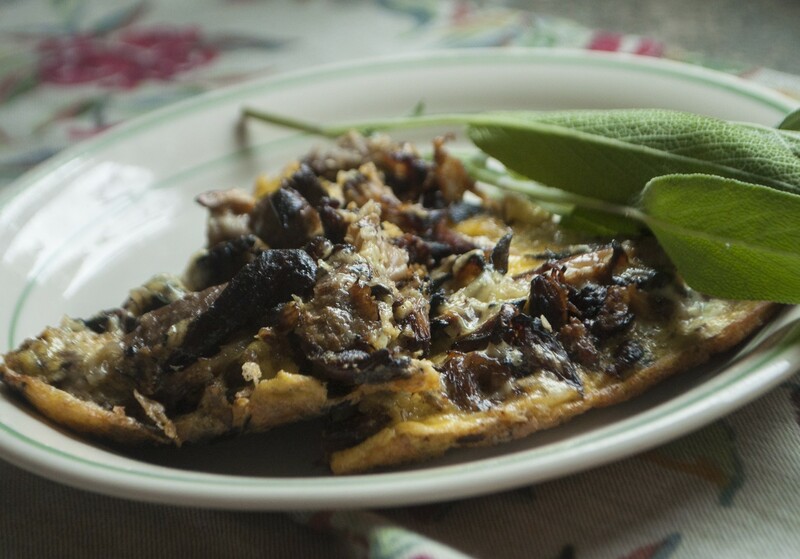 Garnish with fresh sage and serve warm.